A new guideline to help clinicians provide optimal pain management for patients following surgery has been released by The American Pain Society. The evidence-based guideline includes a total of 32 recommendations. Based on their study of randomized trials, the authors of the guideline strongly advise in favor of the use of multimodal anesthesia that target different mechanisms in the peripheral and central nervous systems. The 32 recommendations are rated as strong, moderate or weak based on scientific evidence cited as high, moderate or low quality. • Spinal analgesia is appropriate for major thoracic and abdominal procedures, particularly in patients at risk for cardiac and pulmonary complications or prolonged intestinal distress. • Gabapentin (Neurotin, Gralise, Horizant) and pregabalin (Lyrica) can be considered for multimodal postoperative analgesia. 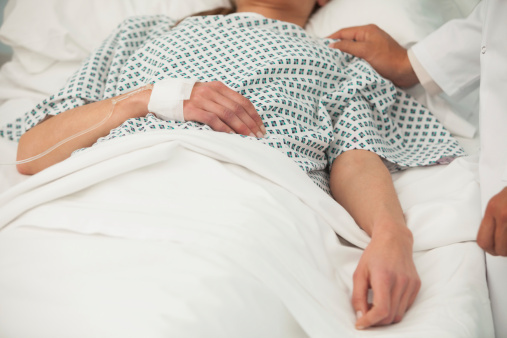 The medications are associated with lower opioid requirements after surgery. • Surgical facilities should provide clinicians with access to a pain specialist for patients with inadequately controlled preoperative pain. In addition, non-pharmacological therapies such as cognitive behavioral therapies and transcutaneous elective nerve stimulation, can be effective as adjuncts to pharmacological therapies. The guideline was written by a 23-member expert panel representing anesthesia, pain management, surgery, nursing and other medical specialties. Their recommendations are based on their review of over 6,500 scientific abstracts and primary studies. For more information visit the aps.org.